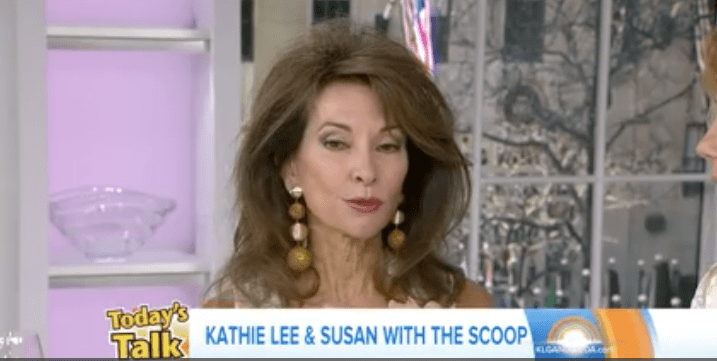 Susan Lucci had high praise for Agnes Nixon and her memoir in an appearance on The Today Show. Daytime legend Susan Lucci fondly reminisced about her friend, the legendary creator of All My Children and One Life to Live, and Loving, and writer at several other soaps. Last month, Soap Cities reported the news of the release of Agnes Nixon’s autobiography, My Life to Live. Fans weren’t the only ones delighted by this news. Susan Lucci, who played AMC‘s iconic Erica Kane, shared the sentiment as well. She recently appeared on The Today Show as a fourth hour co-host with Kathie Lee Gifford and shared some of her thoughts about Nixon and the book, which was released March 21st. See the full video below. It’s clear that Nixon was a very special person in Lucci’s life, as the actress was with AMC from its beginning in 1970 to its end in 2011. “I grew up with Erica and was in the best hands in the business with Agnes’s writing,” she said. And there was no ghost writer for Nixon’s memoir–Lucci also mentioned that Nixon wrote the book by herself, by hand. The book gives insight into, among other things, how Nixon created the role of Erica and chose Lucci for the part. “Her writing is so magnetic–she really pulls you in,” said Lucci. “It’s full of Agnes’s anecdotes about her life, and full of romance, humanity, and wit.” Nixon also broke ground in the soap world, as she blended controversial topics into her soaps, from drug addiction, HIV/AIDS, to women’s health issues. Fans and colleagues alike greatly miss Nixon, yet she lives on in this fascinating book.